A cookie-sandwich with the filling of strawberry and cream. Delicious sweets from Ukrainian manufacturer Roshen (old name: factory of Karl Marx). The factory was founded in 1874 year and has a very long and interesting history in the production of candies, cakes, cookies and so on. 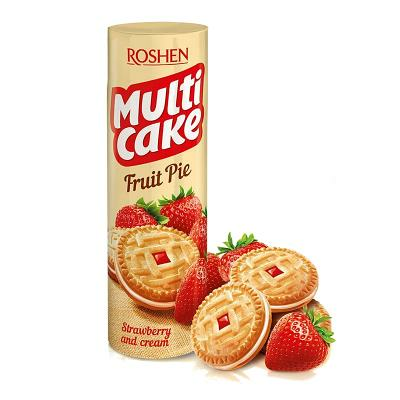 Roshen sweets are very popular in Ukraine and CIS countries.